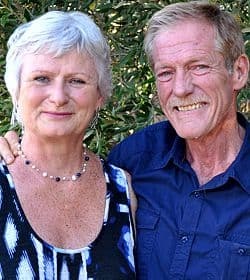 Derek and Susan welcome you to the Olive Boutique for the ultimate olive experience. See how olive oil is extracted. Taste a wide and innovative range of gourmet olives, extra virgin olive oils and olive pastes. Experience our sensuous range of body care products. Learn about the olive industry and the many uses of olives and olive oil, including their health and skin care benefits. In the nineteen seventies, the first olive trees were planted in the Riebeek Valley and surrounding Swartland farmlands, as an addition to already thriving grape and fruit crops. The Olive Boutique was established in 2000, in the Valley village of Riebeek Kasteel, when its first olive press was imported from Italy. The Boutique offered, and continues to offer, local farmers contract olive pressing services and an opportunity to blend in house extra virgin olive oil brands. 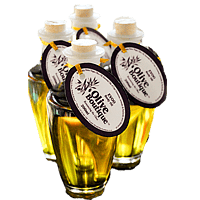 The Olive Boutique quickly became known for its premium range of award winning extra virgin olive oils, cured table olives and olive pastes, along with its distinctive skin and hair care products. The Olive Boutique is a proudly South African, Olive Oil, Olive and Vinegar Tasting Bar located in Riebeek Kasteel, in the Riebeek Valley. Over the past 20 years, the Valley has established itself as one of the primary olive oil and olive producing regions in South Africa. The Boutique has been part of this evolution. Our operating philosophy is to facilitate the ongoing growth of independent artisanal producers and garagiste blenders within the olive industry in the Swartland Region. We focus on enabling new industry entrants; developing micro, small and medium growers and processors; showcasing independent producers and educating end consumers in the taste, performance and health benefits of extra virgin olive oil and olive products. We contract ‘mill’ olives. In days gone by olives were pressed to extract the oil. Today we mill olives (by malax and centrifuge) to extract extra virgin olive oil, which we rack and filter for local Valley and Swartland regional olive enthusiasts, hobbyists and emerging commercial olive farmers. We support new entrants, micro, small and medium sized olive growers with grove planting, management and harvesting guidance, olive pressing and oil blending, bottling and marketing services. Each season we select the finest olives from our customers’ groves to extract and blend our own garagiste Olive Boutique extra virgin olive oils. 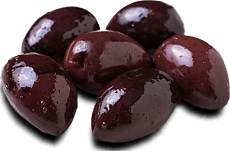 Utilising local fruits, herbs and spices to complement the Mediterranean flavours of traditionally brine cured black and green olives; we produce an innovative, flavour infused, artisanal range of South African cured olives and olive pastes. These are complemented by locally produced fruit balsamic vinegars and traditional dipping sauces. Each season we bring in raw table olives from selected local farmers groves to make up starter or DIY olive curing kits with home curing recipes for hobbyists and new market entrants. The tasting bar aims to grow the market for high quality extra virgin olive oil and table olives by offering tastings, workshops and tours. Interactive experience, accurate information, tastings and education change the way consumers understand the culinary, sensory and performance capabilities of olive oil and cured olive products. Each season we showcase the best of the Swartland independent garagiste Extra Virgin Olive Oil and artisanal cured olive products. Together with other key Valley olive, wine and community stakeholders the Boutique plans, markets and participates in the annual Riebeek Valley Olive Festival (voted by the media as one of the three best food festivals in the Western Cape, South Africa), which celebrates award winning olive oils, cured olive products and wines from the Swartland region. Now the largest of its kind in Southern Africa, the Festival is hosted by the beautiful twin hamlets of Riebeek West and Riebeek Kasteel on the first weekend of May each year. Our Extra Virgin Olive Oil (medium) was awarded Silver by SA Olive 2014. We cold press our superior Extra Virgin Olive Oil directly from olives grown exclusively in the Swartland. Tantalise your taste buds with a range of delicious table olives prepared in a variety of exquisitely flavoured dressings, olive pastes like tapenade and our olive mustards. The benefits of using Olive Oil on the skin have been know for thousands of years. We've made a range of luxurious olive bodycare products for your skin. Click here to discover our range of products and shop online. The olive tree, regarded as a symbol of peace and wisdom, is mentioned in the Bible, depicted in ancient Egyptian art, and featured in Greek mythology. It has provided food, fuel, timber and medicine since ancient times. Archaeological evidence suggests olive trees were being grown in Crete, a Greek island, as far back as 2500 BC. Cleansing, moisturising and protecting olive oil benefits for skin and hair care were well-known among ancient peoples. Phoenicians, Egyptians, Greeks, and Romans used olive oil as a skin care and an anti-aging remedy. and act as a shield against infections. Olive production is relatively new in South Africa (in 1661, Jan van Riebeeck planted the first two olive trees on his farm Boschheuvel in the Cape. However, the fruit of the olive tree was not exploited for another 200 years). The industry is concentrated in the Western Cape, with its typically Mediterranean climate, cold wet winters, hot dry summers. This area accounts for more than 90% of the estimated 1.6 million trees in South Africa, owned by close to 140 producers. Other producers are located in the Northern Cape (Hartswater), Free State and Mpumalanga. With the growth in demand for olive oil, groves are being established throughout the country in niche areas with climates approximating Mediterranean, with varying degrees of success. The unique feature of the olive industry is that the olive harvest falls outside of the deciduous fruit and grape season, thereby positioning olives as ideal ‘fillers’, post vine harvesting and pre fruit harvesting. 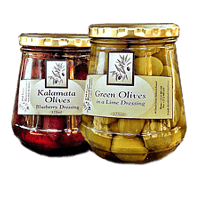 Unlike deciduous fruits which are offered in the market as fresh fruit, olives are offered only as a processed fruit affording them an advantage when it comes to shelf life. In addition, the trees are resilient against drought, making them an attractive and valuable addition to this agricultural sector. With an annual production of approximately 2000 tons of olive oil (5-8kg of olives to make 1 litre of oil) or 10 000 tons of oil olives, the South African olive oil industry is not a significant global player when compared to leading countries like Spain that produce in excess of 1.2 million tons of olive oil per annum. The total South African consumption of olive oil is +-3.5 million litres, of which local production is currently less than 20%. Local production of table olives is estimated at 3000 tons pa while 600 tons are imported annually. South African producers and processors have a culture of producing quality olives and olive oil, as demonstrated by the many prestigious international awards received. Approximately 95% of South African olive oil produced is Extra Virgin Olive Oil (EVOO), whereas a very small proportion of the EU production meets this standard. The reason for South Africa having such high standards is because we have managed to leap frog the industrial development process with 3rd generation machinery and technology. Unfortunately local consumer knowledge of quality olive oil is poor. In contrast to traditional olive oil consuming countries where per capita consumption of olive oil ranges between 12 - 24 litres per annum, the average South African consumes a mere 80ml per annum. This lack of knowledge is exploited for gain by the importation of adulterated olive oils (mixing oils of inferior quality) and marketing of supposedly superior European imported oils at higher prices. The situation is further exacerbated by the EU subsidies paid to olive growers. These subsidies enable EU producers to undercut the local processors with attendant loss of sales and ultimately job losses. In South Africa, 10% of the players are responsible for 90% of volume produced. There are a myriad of small growers and boutique style table olive and olive oil processors that add flavour and interest to the industry. Based on the rate at which new trees are being planted, olive farming is growing at 20% per annum, i.e. it is doubling in size every four to five years, making it one of the fastest growing agricultural segments in the country. This is in response to an increase in olive and olive oil consumption, given the growing awareness of the health benefits of olive products. The interests of the South African olive industry are represented by SA Olive, a voluntary non-profit association whose members are directly involved in the industry (i.e. growers, nurseries, table olive and olive oil processors). The olive industry in South Africa has a very promising future. All the required elements of a potentially world class industry are taking shape. The appropriate farming environment (Mediterranean climate and rotational crops), affordable land and suitably skilled labour, all of which are required to provide a high quality, cost competitive growing and production base, exist and are firmly established in the Western Cape. The emergence and continuous development of the necessary related and supporting industries, fast tracked on the back of a mature wine industry value chain, are enabling international price competitiveness, product quality and innovation. Under developed market demand conditions, policy, regulatory and consumer related, remain the only real obstacle to the olive industry achieving its full economic potential and playing its rightful role in rural sustainability and agricultural transformation. In partnership with relevant Government Ministries and Departments, the SA Olive Association is working on ameliorating present demand constraints. The interventions are targeting two areas: firstly, levelling the playing fields on pricing by introducing countervailing duties to offset the EU subsidies paid to European olive farmers and olive oil producers; secondly, quality control standards, regulation and policing mechanisms are being established to halt existing demand manipulation through fraudulent imports and product adulteration practises. The association continues to drive local customer education by establishing national competitions. In South Africa, the most widely planted cultivar is the Californian Mission, the olives of which can be pressed for oil or cured for table olives. These trees bear exceptionally well. The Leccino and Frantoio cultivars have been grown for many years for oil, with newer cultivars, like Coratina, Favalosa (FS 17), Nocellara, Arbequina and many other imported cultivars being planted on a smaller scale. Aside from Mission olives, Kalamata, Manzanilla and Barouni are the most common table olive cultivars. Depending on the cultivars of olives pressed and prevailing weather conditions, different styles of oil are produced. Cultivars like Mission and Kalamata, which are predominantly table olive cultivars, produce delicate oils. Cultivars, like Frantoio, Coratina, Leccino, Favalosa and others, tend to produce either medium fruity oils or intensely fruity oils. Non-irrigated orchards grown in Mediterranean climate (hot, dry summers and wet winters) produce the most intensely fruity oils. Many producers choose to blend the oil from different cultivars to maintain a more consistent product year on year, while others offer separate varietals which display different characteristics with each harvest. The annual olive harvest takes place between late March and end June/July each year. By August/September, fresh oils are available in the market. Unlike wine, olive oil does not mature with age – it should be consumed as fresh as possible to derive most culinary benefit as well as the best health benefits. On average, Extra Virgin Olive Oil (EVOO) holds its character for up to 2 years and then softens to a Virgin Olive Oil. EVOO is natural ‘juice’ extracted from olives at a temperature below 30C, without any chemical additions or modifications. 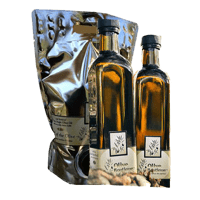 It has zero defects on sensory tasting and meets certain chemical conditions to ensure that the free acidity (oleic acid) value is 0,8% or lower and the peroxide values are lower than 20%. It is completely natural oil that has not been refined or modified in any way. ‘Cold pressed’ or ‘first cold pressed’ are terms referring to the temperature at extraction for EVOO, which may not be higher than 30C. EVOO should be consumed within two years of harvesting. The levels of anti-oxidants and nutritional values decrease over time. EVOO should be stored in air tight containers and kept in cool dark places. Light and air are the enemies of EVOO. Virgin Olive Oil is of a lesser quality than Extra Virgin. It is extracted in the same way. It is natural unrefined oil with a free acidity value below 2%. Virgin oils may have minimal defects. Olive oil is refined olive oil that has been blended with a minimum amount of virgin oil. Refined olive oil is often sold as ‘Light’ or ‘Pure’ olive oil. This oil no longer contains the natural anti-oxidant values of EVOO. Pomace Oil is banned for human consumption in many countries in Europe but is still sold and consumed in South Africa. It is advisable to avoid this product. Be sure to look for the South African Olive Commitment to Compliance seal on local bottles of olive oil – this will tell you when the olives were pressed and when the oil was extracted. The producers of the oils bearing this seal have committed to comply with the standards set by the South African Olive Oil industry association.